A look at the 2017 Michigan football recruiting class commitments, including several in-state standouts and top ranked players from all around the country and continent. 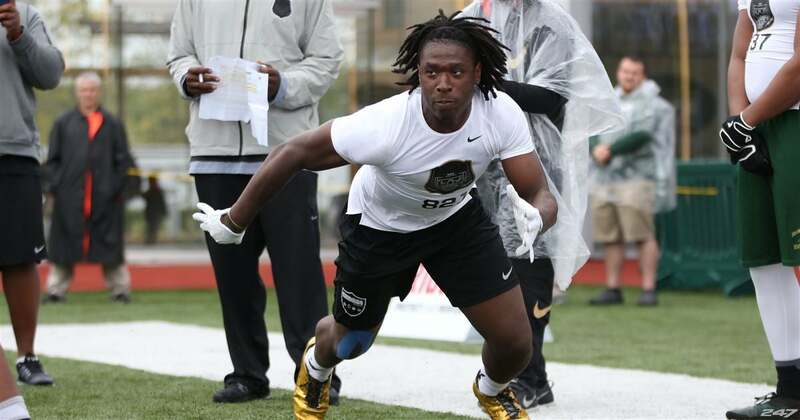 According to multiple reports, the 2016 commit and JUCO standout will be eligible to sign with Michigan this season. And this is big news. Hawkins was one of the most underrated additions to the 2016 class. 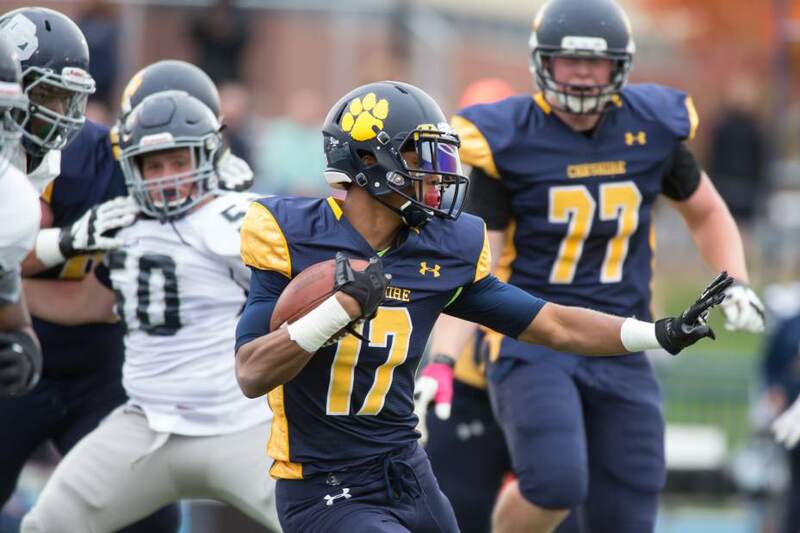 He’s a player that could be a standout at either wide receiver or free safety, though from the look of his time at Suffield Academy, he’ll be starting at wide receiver and could flourish. 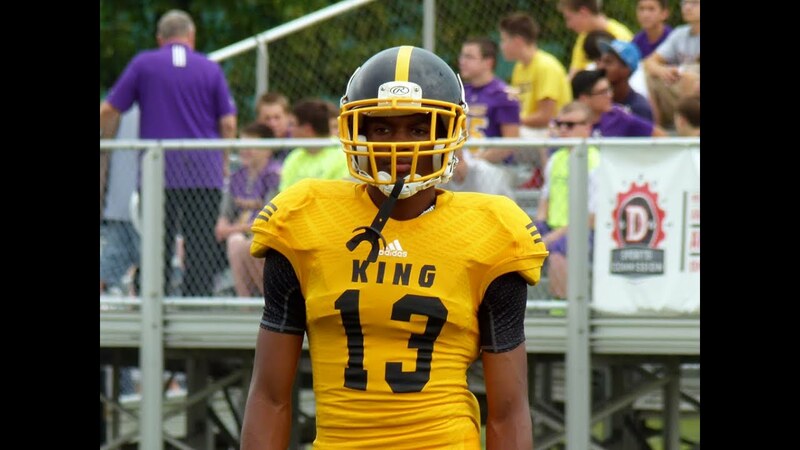 St-Juste reclassified into the 2017 class and could be a steal. He is a long, raw, athletic cornerback that uses his length and strength to bully receivers and blockers in the Great White North. But will it work down in the states? 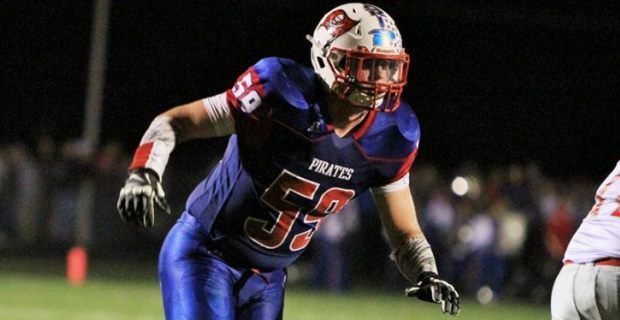 He has the look of a very good, press corner and he obviously has the raw goods that the staff believes they could mold into a productive player in the Maize and Blue. Taylor is a tough, stout, quicker than fast running back that loves contact. 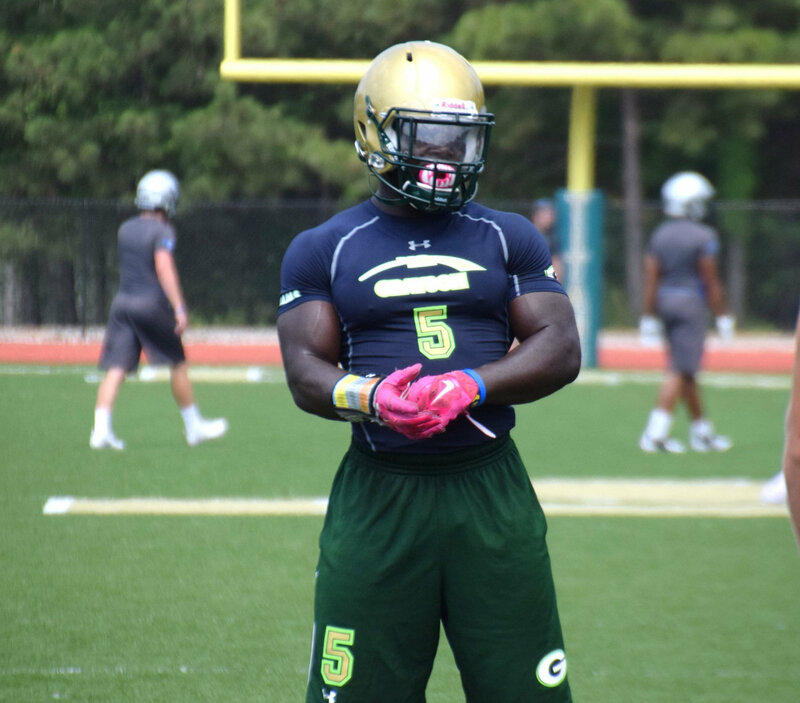 When you look at how built he is for a high school student (or anyone for that matter), you can see why he has no problem looking for defenders. Though he can also beat the defense with a quick first step, he has similar running style to former Wolverine, Mike Hart. His size actually helps him as he can get lost behind lineman and has a low center of gravity, which makes him very tough to bring down. 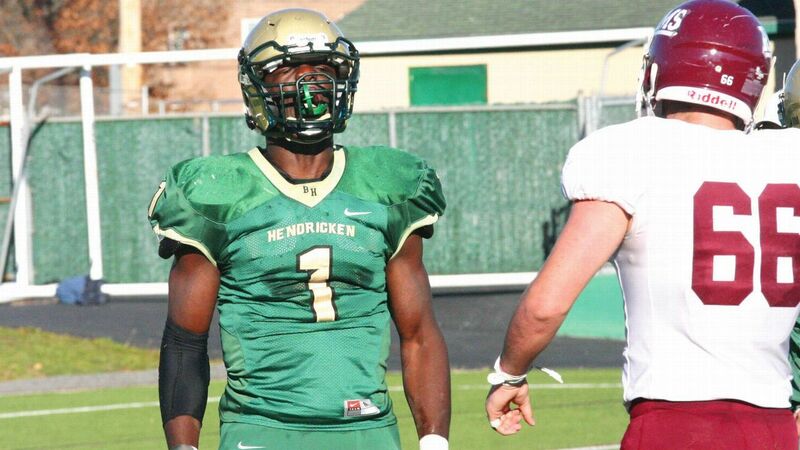 Hall is one of the most physically impressive recruits in the state but is also one of the most raw. He has that athleticism and size needed but is in need of more reps and coaching to be a top player at the collegiate level. At Michigan, he’ll be able to work with one of the top offensive line coaches in the country in Tim Drevno and should grow into a nice player for the Wolverines. McCaffrey is well known for his family (son of former NFL receiver Ed and brother of Stanford star running back Christian) but looks likely to make a big name for himself at the college level. He not only comes from a family full of elite athletes but he may be the best of the bunch. 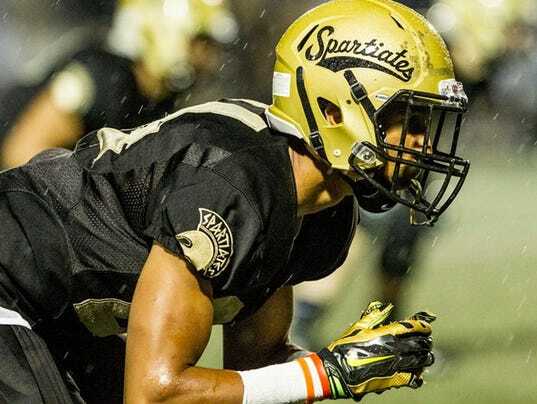 His size, athleticism, mechanics and pocket presence mixed with the tutelage of Jim Harbaugh gives him a chance to be a star in the Maize and Blue. Ross, the younger brother of former Wolverine LB James Ross, is one of the top 2017 linebackers and players in the state. While he was a top target for the previous coaching staff, he became a true priority when Harbaugh took over. And for good reason. Like his brother, he’s a bit undersized but is extremely smart and technical. There aren’t many linebackers that are better pure tacklers in the class which should make him a great fit at the SAM or MIKE spot in Brown’s defense. Woods is one of the biggest safeties in the class. 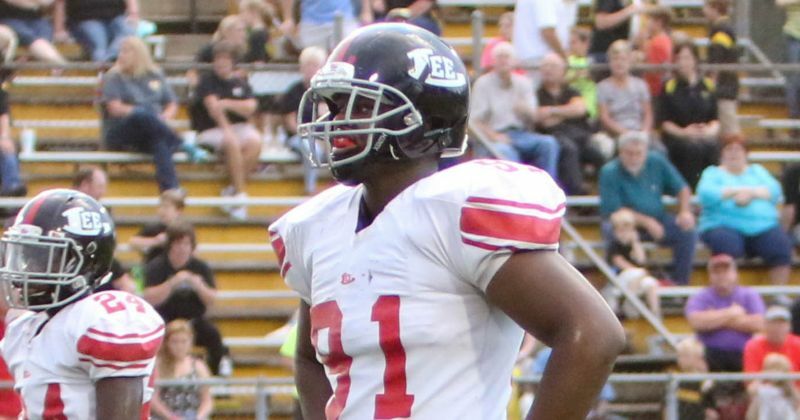 At 6’3″+, he has the size, length and athleticism to be a real game changer on the backend of the defense. Though he’s still a bit raw as a cover man, he can play the centerfield position with the best of them thanks to that length and ball hawking ability. Something every defensive coordinator wants and needs. 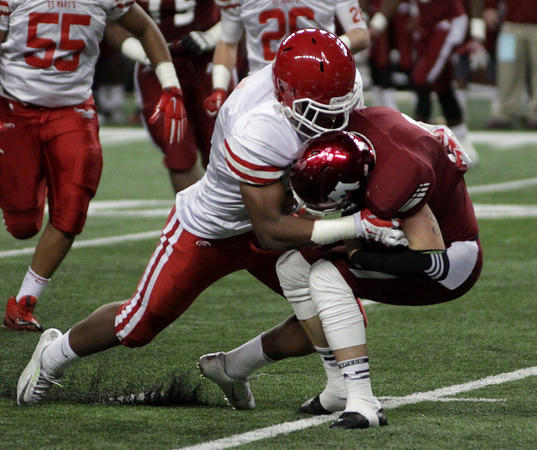 Paea is a big, physical and versatile athlete that could play multiple positions at the next level. In high school, he plays both offensive guard and defensive tackle but thanks to his wrestling background, it looks like he’ll be a run stuffing big man in the middle of the Wolverines defense for years to come. Samuels is one of the least known athletes in the class. He proved his all around athleticism at The Opening Regional camp at JerryWorld, posting a 142.41 rating against some of the top players in the nation. That speed, strength, agility and physical build is what the staff wants and needs out of another running back in the 2017 class as he’s the true home run threat the depth chart needs. With top level coaching, he could be a star for the Wolverines. Mason is the prototypical “Harbaugh player”. Similar to 2017 LB Joshua Ross, Mason is a physical, smart, instinctive player that loves to play football. He shows signs of being a productive MIKE or WILL linebacker but thanks to his ability to block, catch and make plays with the ball in his hands, the fullback position looks to be his most likely primary position in the Maize and Blue, though I expect him to see time in all three facets (offense, defense, special teams) during his career. 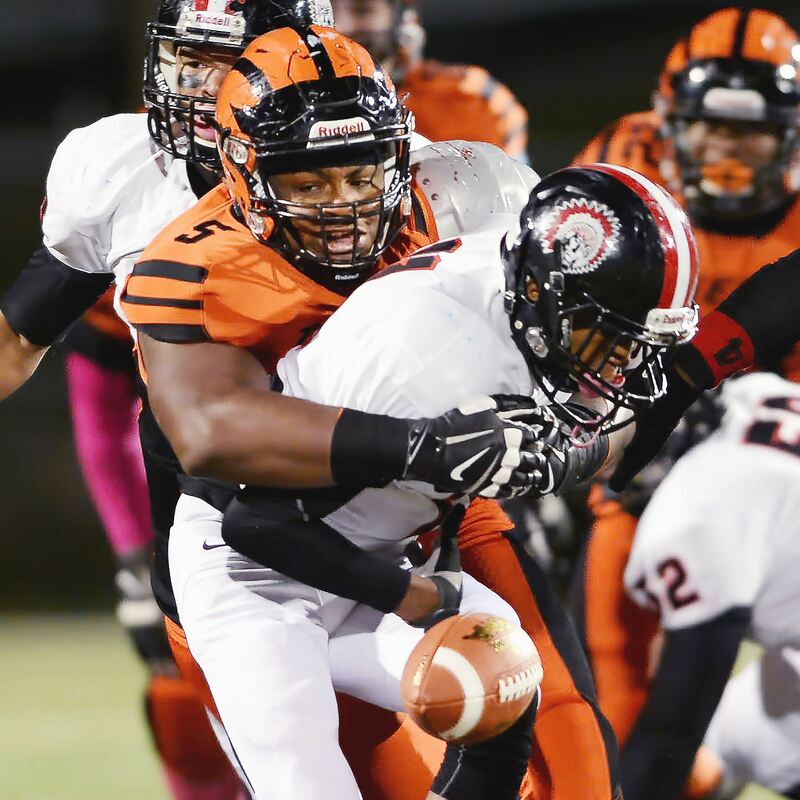 Malone-Hatcher is one of the most versatile defensive recruits in the class and best overall players in the Midwest. 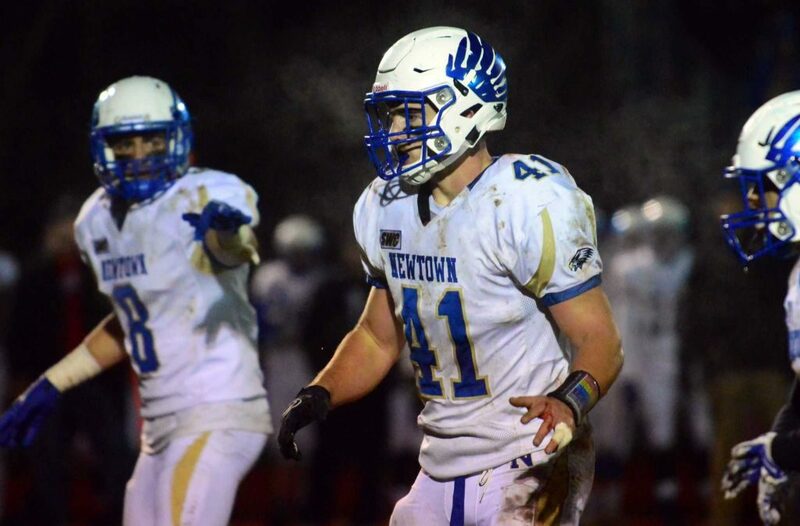 He is a big, physical, athletic defender that could star at multiple positions, including defensive end, outside linebacker or even inside linebacker thanks to his athleticism and pass rushing abilities. Though he’s coming off of an injury during his junior year, he’s expected to be 100% for his senior year which could see him climb back up the class rankings by NSD. Vilain, who is one of the top defensive ends in the entire class, should be a fantastic fit in Don Brown’s blitz heavy defense. He has the athleticism, size and speed to either play weakside defensive end or the SAM linebacker position. Because of that versatility and his overall talent, he should be one of the top gets in the 2017 class for Michigan. Stueber is an old school offensive tackle. 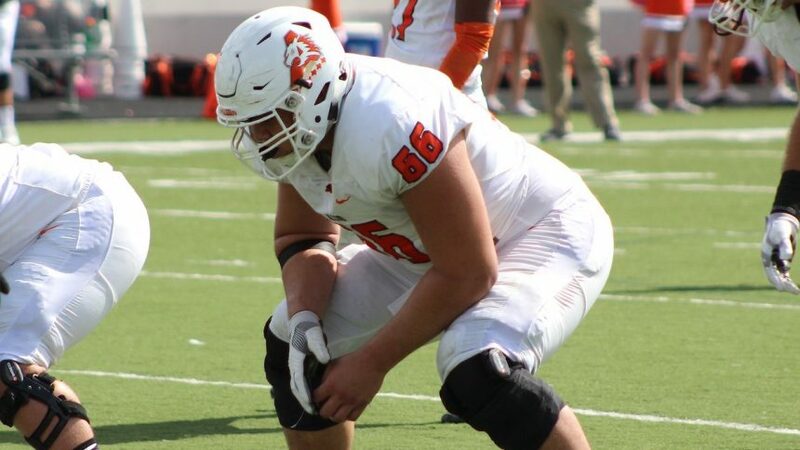 At 6’6” 290lbs, he is exactly what Bo Schembechler would have looked for as he not only has the size and build of prototypical lineman but he also has that nastiness that coaches are looking for in their lineman. He proved it twice in front of the coaching staff and is a commit that should be looked at closely as he’s likely to fly under the radar. Honigford is not one of the top ranked tackles in the class but don’t let that fool you on his abilities. He’s a long, athletic tackle that has the look of an oversized tight end at this point but has the frame to grow into an elite sized offensive tackle. But even though he’s a bit underweight for a college tackle, he has the aggression, natural strength and that play until the 2nd whistle approach that coaches are looking for out of their tackle prospects. 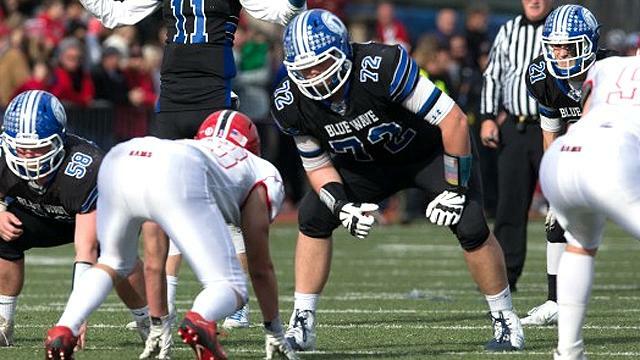 Hudson is a long, big bodied, versatile defensive lineman that can play all along the line. 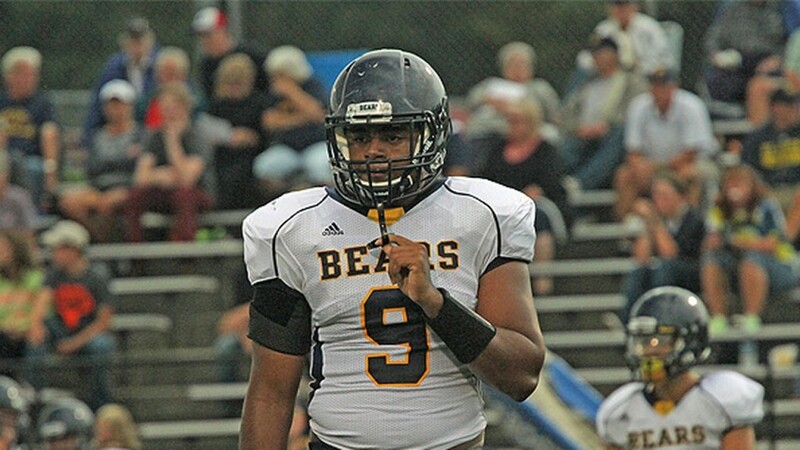 He has the size to play defensive tackle and the athleticism to play defensive end which is why he was a top target for the Michigan coaching staff as a five tech strong side defensive end, similar to Chris Wormley. The talented lineman is a big, strong, physical player that has the size and the athleticism to play the 5, 7 and, with some more size, the 3 technique in Don Brown’s defense. He flashes his quick feet when pressuring the quarterback and his stout size and strength in the run game. Paye is a player that was quickly identified by Don Brown as a perfect fit for the Michigan defense. His size, speed and motor pops off of the screen throughout his highlights, as does his pure rawness. With more coaching and time in the weight room, he could be a very disruptive player in the Maize and Blue throughout his playing career. 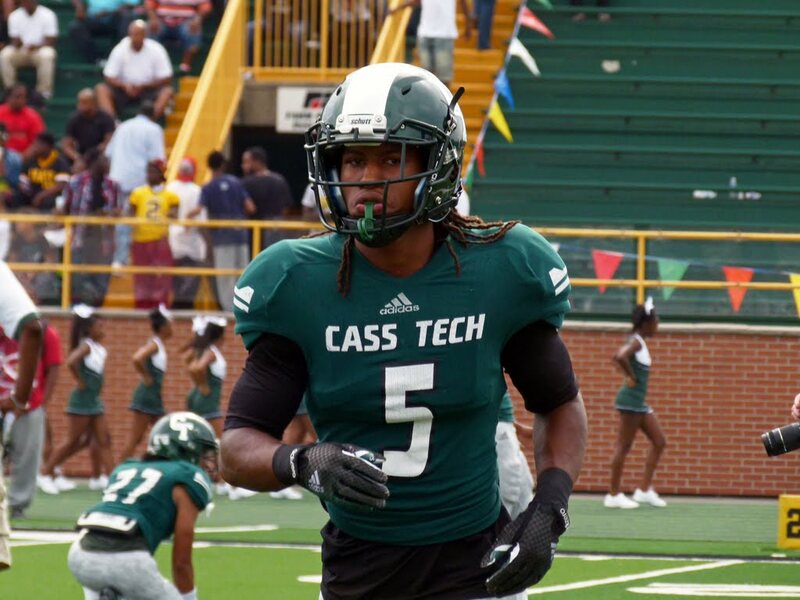 Kelly-Powell is a versatile defensive back out of Detroit’s biggest college football factory. 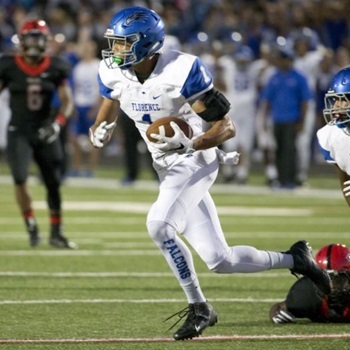 While he’s out of DB High, he has a much different playing style than the likes of Jourdan Lewis, Terry Richardson and Damon Webb. JKP has the ability to cover like a corner but can also hit like a safety and definitely isn’t afraid to do so. Thanks to that versatility, it’ll be interesting to see how many positions he plays in Brown’s defense. Thomas is one of the most versatile players in the country as he is a game breaker at both the cornerback and wide receiver position. His pure athleticism and speed will give him the chance to play either position at the next level but all signs point to him playing defense at Michigan. And with the likelihood of early playing time available at both cornerback and in the return game, Thomas should have the chance to see the field early in his collegiate career. Black is one of the most physically gifted receivers in the class. 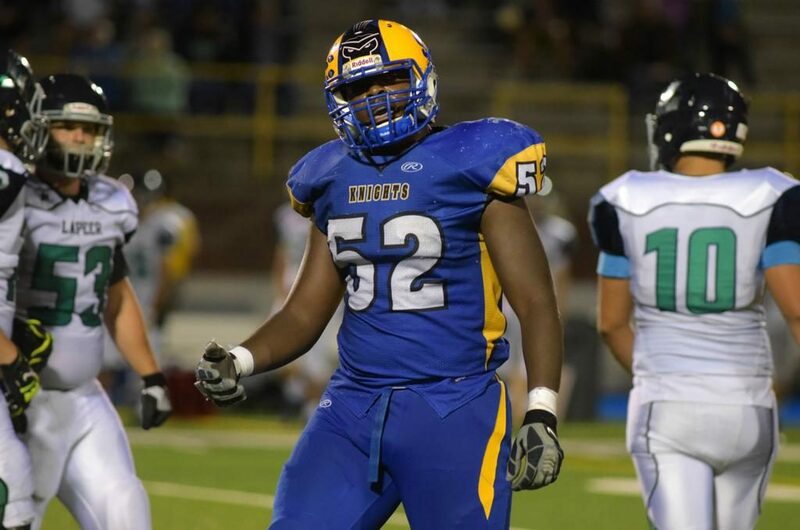 At 6’4″ and 200+ pounds, he uses his size and unreal athleticism to dominate at the high school level. But he’s not just all size. Black runs crisp routes, has great vision with the ball in his hands and uses his speed and sneaky quickness to break away from defenders on short, intermediate and deep routes. While the state of Michigan has put out a ton of football talent through the years but the top player in the 2017 class is legitimately in the discussion for best ever. Peoples-Jones is right there with former Michigan great and current running backs coach, Tyrone Wheatley, in terms of elite talent and athleticism. 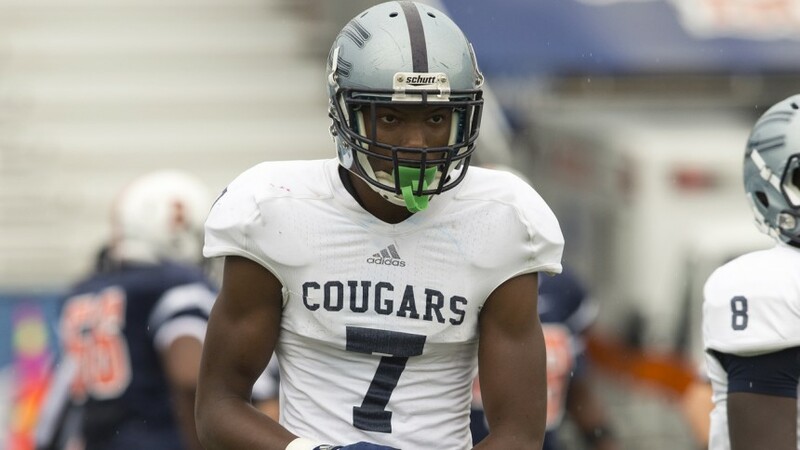 His size, athleticism and speed is put on display at each high school game but was truly shown when he won the 2015 Nike SPARQ MVP as a junior after running a 4.42 forty yard dash and posting a 42.4 inch vertical jump. Ruiz is the #1 center in the class (per Rivals and 247Sports; #2 for Scout and ESPN) for good reason. He has elite size, strength and athleticism mixed with the quick twitch, nastiness and leadership abilities that are needed at the position. Add in him playing at two CFB pipeline programs, including the best football academy in the country for his junior and senior seasons. 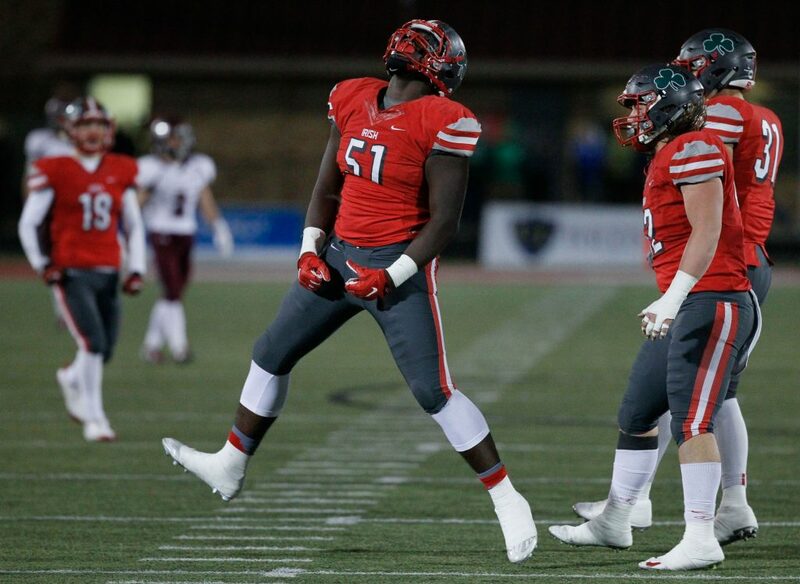 Irving-Bey is that prototypical “sky is the limit” type of a prospect. At 6’5’’ 285lbs, he has athleticism and the size that could translate extremely well to either the defensive or offensive line. And with him still being pretty raw on both sides of the ball, he’s only scratching the surface of his potential at this point. With some elite coaching in Ann Arbor, he could be a standout at either defensive end/tackle or at either offensive tackle position during his career. Anthony is one of the best overall athletes in high school football. 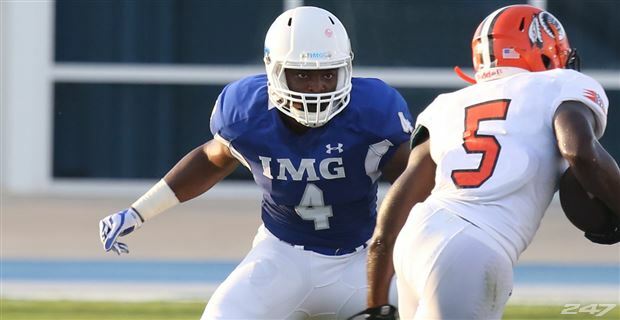 He uses his pure athleticism, size and instincts to be a standout at both the linebacker and running back position for national powerhouse IMG Academy. But it’s the defensive side of the ball where he’ll play his collegiate career, and it’s a good choice. His ability to read and react in coverage on passing downs and at the line of scrimmage on running downs, should make him a tackling machine at the next level. Add in him looking like a future defensive captain and Michigan is getting themselves an absolute stud prospect. 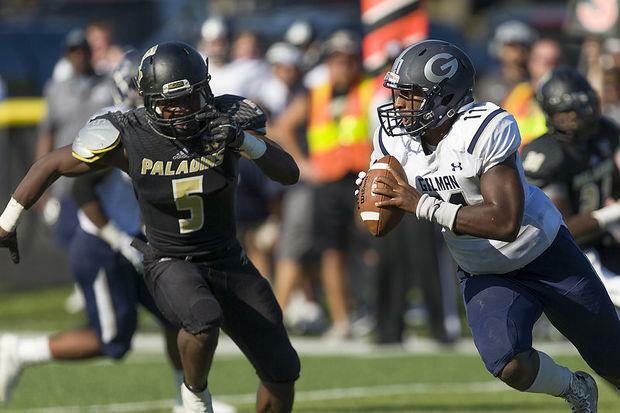 Singleton is easily one of the most athletic linebackers in the 2017 class and one of the top defensive recruits to come out of the Garden State in recent memory (Peppers and Gary obviously being on that list as well). He is that three down, sideline to sideline linebacker that Wolverines fans have been asking for for years. Filiaga is one of the most physically impressive recruits in the class. He stands at a legit 6’6″ 350lbs and moves very well for that size. Add in his pure power and advanced technical ability, and he’s one of the top tackles in this class. He should be able to make an instant impact in Ann Arbor, especially with the playing time available at the tackle position. On top of his testing, he has also showed off his receiving skills in both 7v7 and game day action. 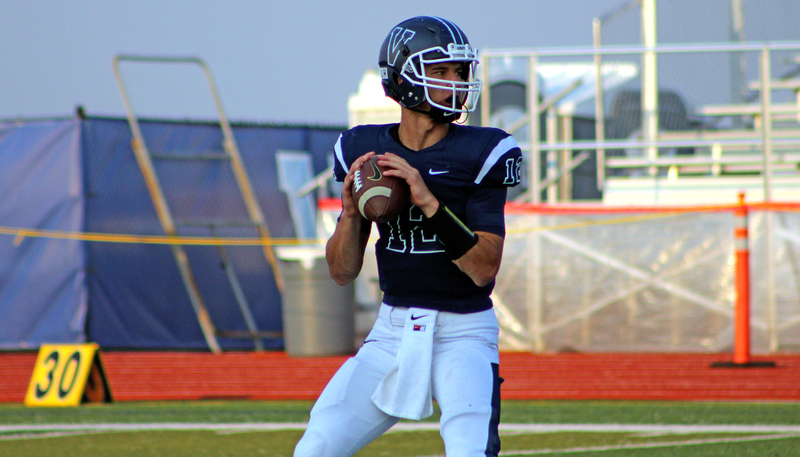 His ability to get open quickly and beat defensive backs down the field and to the ball will make him one of Dylan McCaffrey, Brandon Peters and any other Michigan quarterback’s favorite targets. 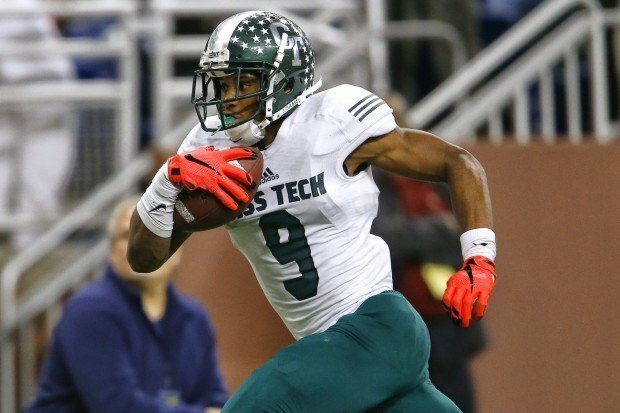 Because of his precise routes and hands, he could be a guy that plays early and often. Solomon is one of the best players in the class and a legit five star prospect. 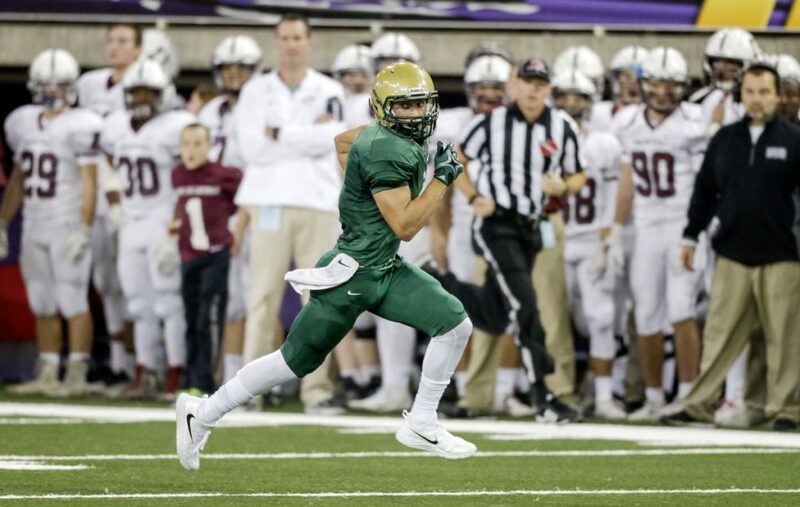 His first step makes him an unstoppable force at the high school level and, with more coaching and time in a college weight room, he could become a star at the collegiate level. 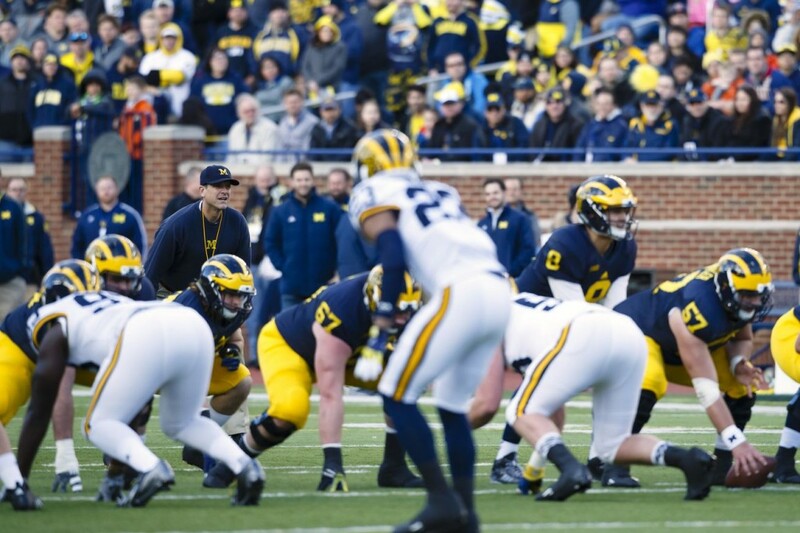 And when you look at what Michigan has in Don Brown and Greg Mattison as well as the available early playing time, his impact should be felt immediately. 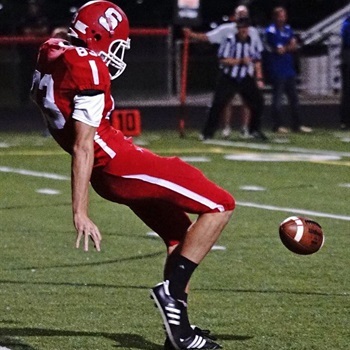 Bradley is the Fab 50’s top nationally ranked punter for the class of 2017. He earned the top spot after the Fall 2016 Kornblue Kicking Challenge event (Dec. 31, 2016). His punting performance included punts of 5.06/46 yards & 5.04/54 yards. He was named Punting Champion for the class of 2017 and earned the highest point total, including the JUCO/college transfer level. Though he’ll need to build up his frame a bit, he should have the chance to contribute early on in his career thanks to the departures of the top outside threats (Jehu Chesson and Amara Darboh) before he even gets to campus. If he hits the weight room and the playbook, he should fight his classmates for meaningful reps during his freshmen year.